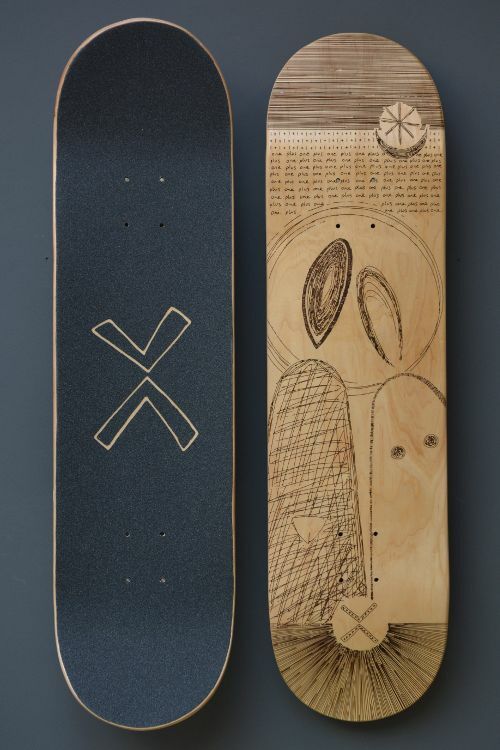 Through the collaboration with local artists, Skative has created a collection of engraved skateboards, originally exhibited at the 2018 Wirksworth Arts Festival. 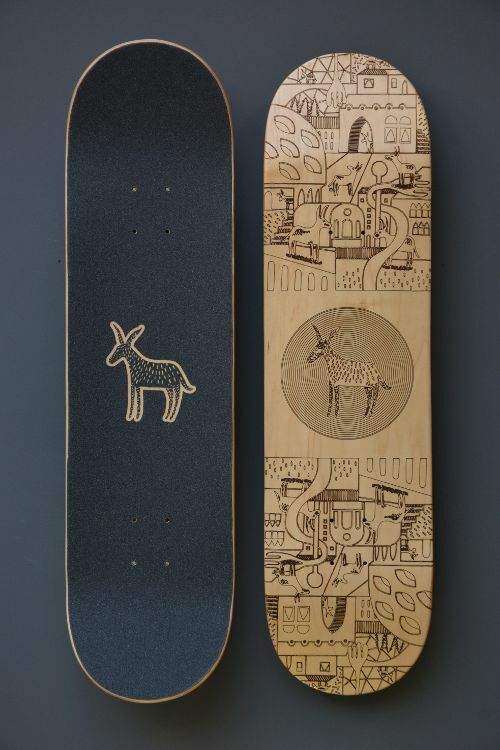 New processes were explored and created to translate the artist preferred medium into a series of complex lines, laser engraved onto a blank skateboard deck. 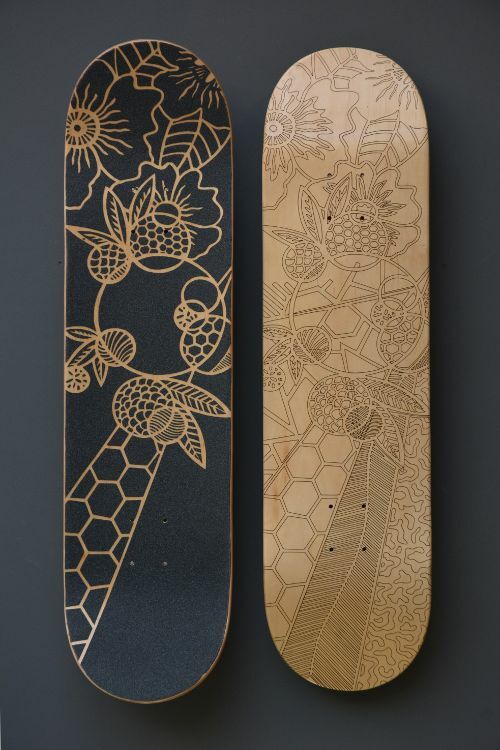 A complimentary design was also laser cut into griptape. 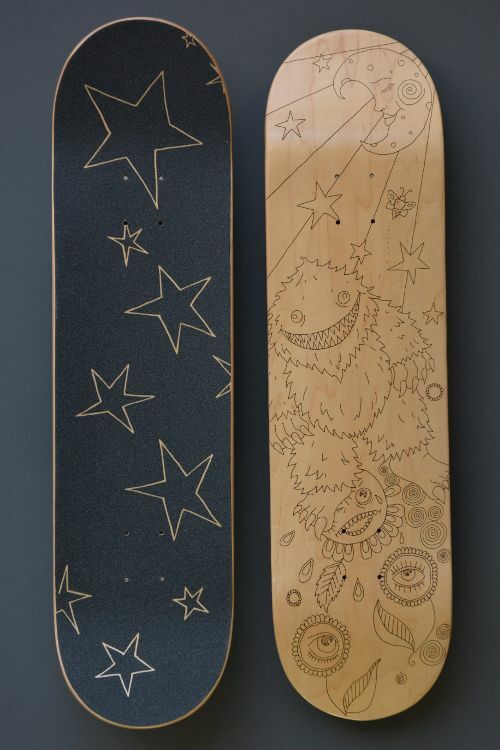 There are only one deck of each design for sale, each at £120 and include a wall hanger. All proceed go towards the Skate Wirksworth skatepark campaign. An optimised cut depth is less likely to effect the physical integrity and performance of the deck. 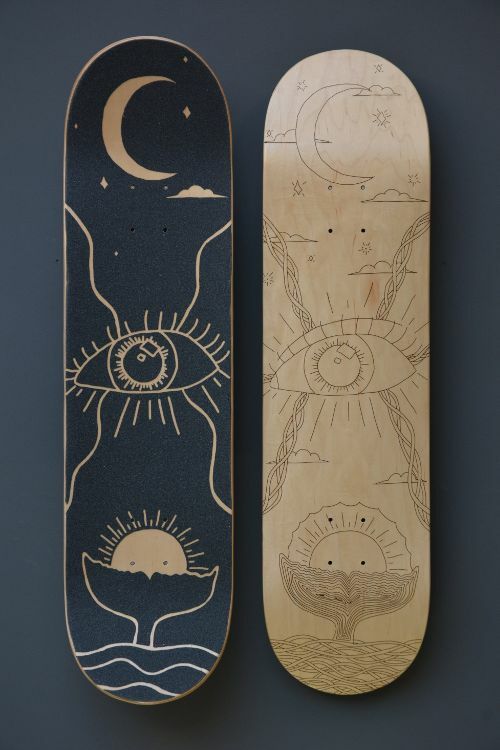 Well design artwork reduces the laser time of a full deck, reducing the energy consumption, wear on the laser tube and therefore environmental impact. 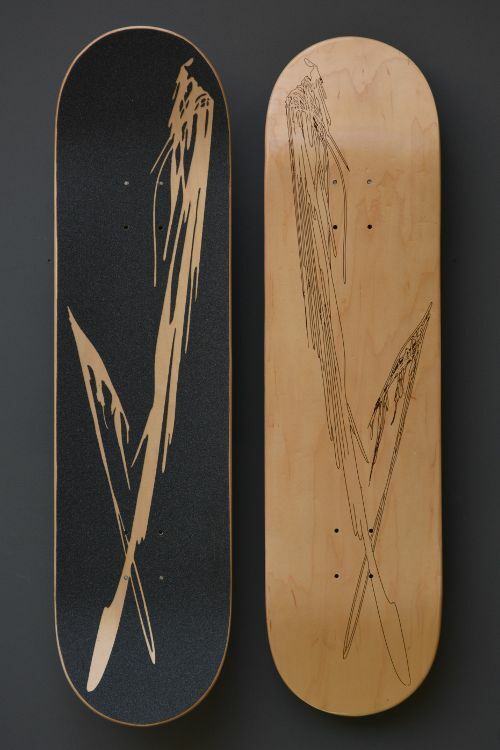 The engraved lines and design will remain visible even after used for board, nose and tail slides. 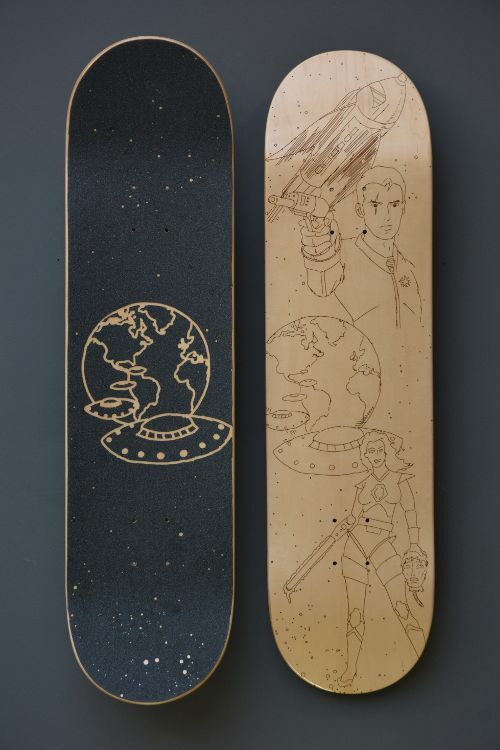 Once its time to retire and replace the deck it makes great wall art with the additional character the rider has applied to the design. Designing for vector engraving is more challenging and therefore provokes greater thinking from the artist and Skative. 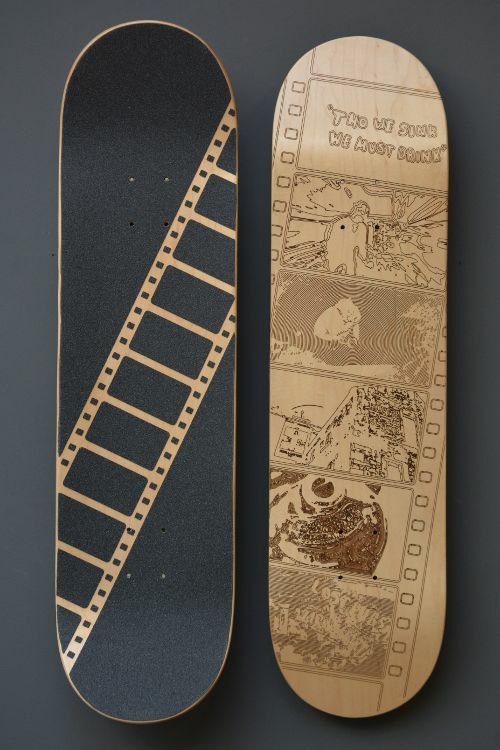 Creating and cutting lines is akin to the true act of skateboarding itself.